“Light over darkness, hope over despair, knowledge over ignorance, good over evil — the UN lights up. Happy Diwali!” tweets UNGA president Peter Thomson. Diwali was commemorated for the first time at the United Nations, with the world body’s imposing headquarters in New York lit up especially on the occasion of the Indian festival of lights. The facade of the U.N. headquarters was lit in bright hues and the words ‘Happy Diwali’, along with the image of a traditional diya, projected onto the building. “Lighting up. 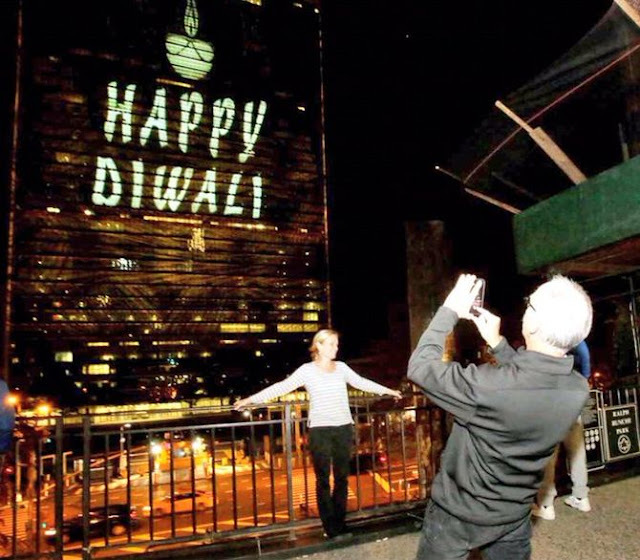 @UN lights up for #Diwali for 1st time,” India’s Ambassador to the U.N. Syed Akbaruddin tweeted. “Happy Diwali! @UN celebrates Diwali for 1st time. Thank you @UN_PGA for this initiative,” Mr. Akbaruddin said in another tweet, thanking General Assembly president Peter Thomson for the initiative. He also tweeted a picture of passersby clicking photographs of the building as well as being themselves clicked against the illuminated U.N. headquarters in the background. The U.N. Secretariat building will be lit up for Diwali for three days from October 29, 2016. It is for the first time that the Indian festival of lights is celebrated at the world body after the U.N. General Assembly adopted a resolution in December, 2014 that acknowledged the “significance of Diwali”. 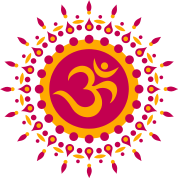 Noting that the festival is observed in many U.N. member states, the resolution had called on U.N. bodies to avoid holding meetings on Diwali, declaring it a no-meeting day. From 2016 onwards, Diwali was made an optional holiday for the U.N., India’s Permanent Mission to the world body said in a special video message. Earlier in June, the U.N. building was lit up on the occasion of the International Yoga Day, with images of Yoga postures projected on the imposing headquarters.